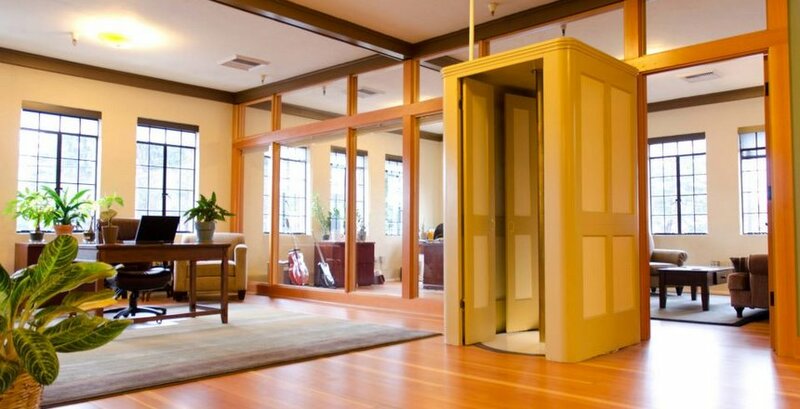 New carriage-style doors were made based on historic photos. Historic details such as the oak and wrought iron balustrade were preserved. The fire fighters' dormitory was converted into a law office. Sloped floors in the engine bays were flattened to accommodate commercial uses. The old handball court and engine garage was converted to Bremik's office. Originally built in 1927, Venerable renovated Fire Station No. 7 in 2010. 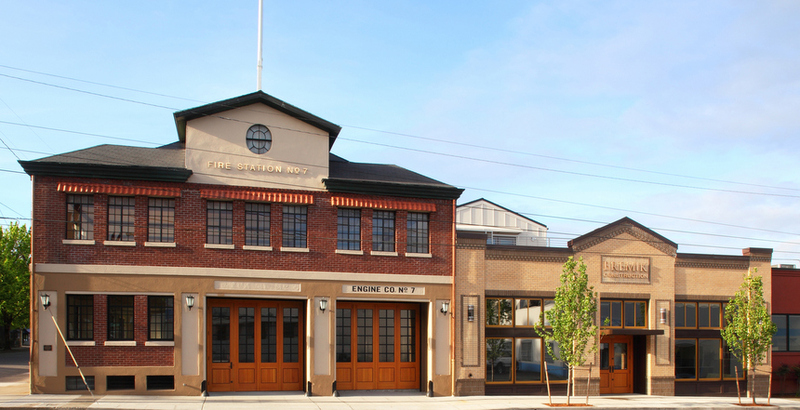 Complete restoration of historic fire station added office/retail space. 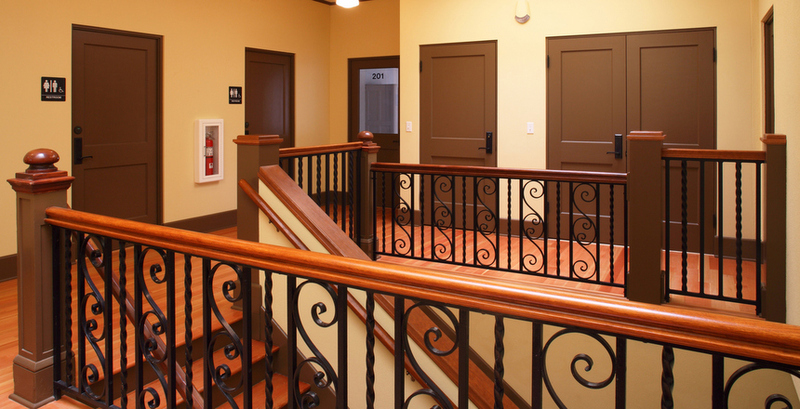 A new entrance was built for 2nd floor tenants with light filled common area. Second floor original box-beam ceilings, high ceilings and fir floors were preserved. The historic Fire Station No. 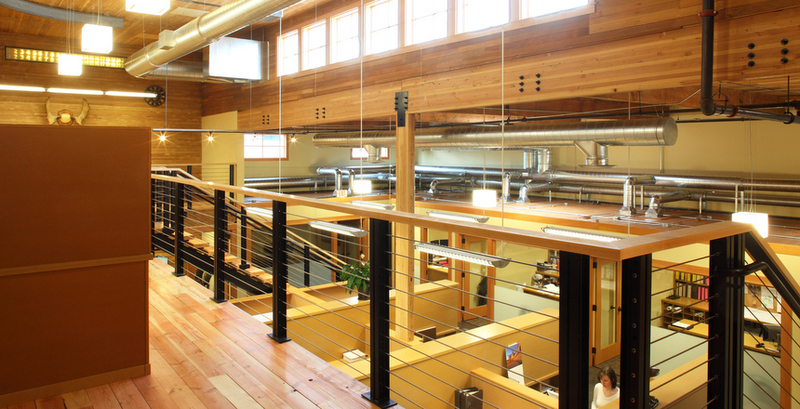 7 and adjacent wood-frame industrial building was completely redeveloped by Venerable Development, LLC with Bremik Construction as general contractor and Emerick Architects handling the design work. Completed in 1927, Fire Station No. 7 is listed in the National Register of Historic Places. The building’s architect was Fire Chief Lee Gray Holden, who designed 24 firehouses in Portland and Fire Station No. 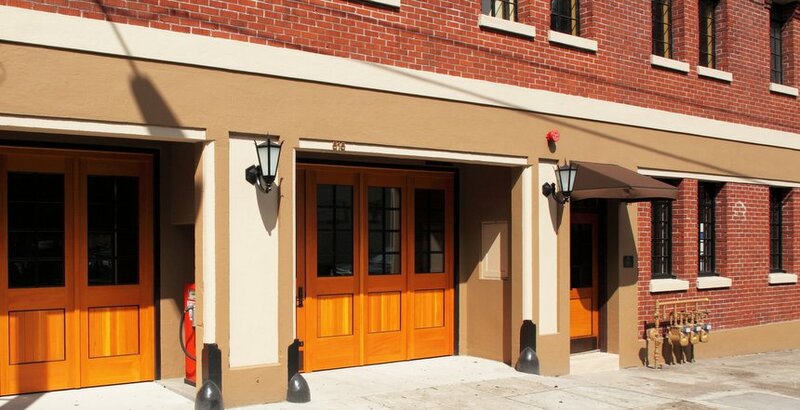 7 was Holden’s last work of firehouse architecture with his retirement that year from the Portland Fire Bureau. The building was state-of-the art and served as the Fire Bureau’s east side headquarters for many years. The adjacent 6,324 sq foot building was leased by Bremik Construction who relocated their headquarters from Troutdale to the site. This addition was built in the 1930s with updates added in the 1960s. The original construction added a handball court to the fire house. The character of this building was retained including construction of a new brick storefront, restoration of the interior tongue-and-groove fir siding and accenting the 30 foot height with an expanded mezzanine. The restoration of the 9,161 sq foot Fire Station transformed the property, formerly used for auto repair, into office/retail space, including a hair salon in the south apparatus bay. The original exterior will be restored including tuckpointing the masonry, new, historically accurate ground floor windows, new carriage-style garage doors that will replicate the original doors based on period photographs and original light fixture replicates. A new separate entrance on SE 11th Avenue offers a grand, light-filled common area with a double stairway and skylight. 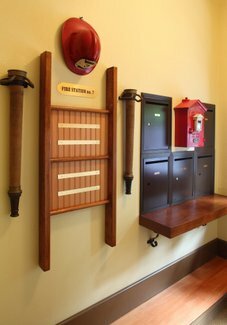 The Fire Station’s second floor was restored through the preservation of the original box-beam ceilings, fir floors, high ceilings, plaster walls, steel casement windows and original doors and moldings. Venerable has also saved the brass fire poles and the original fire pole “closets” on the second floor. 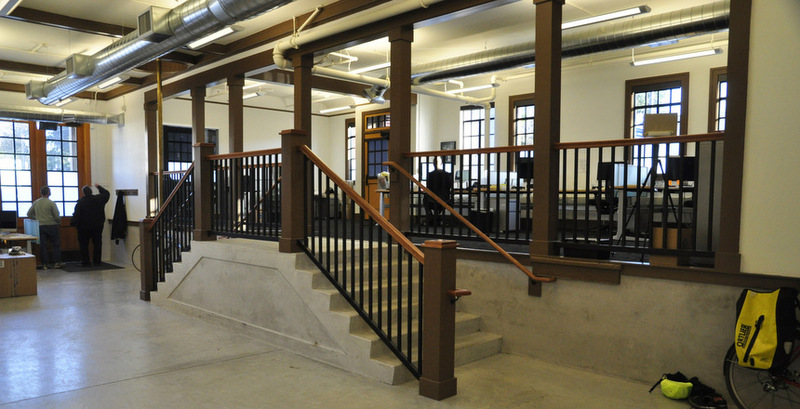 Venerable strives to be an outstanding steward of the built environment by preserving and reusing historic buildings, building high-quality new developments, and managing a diverse portfolio of properties in Oregon and SW Washington. © 2019 Venerable Properties. All rights reserved. Made by Needmore.